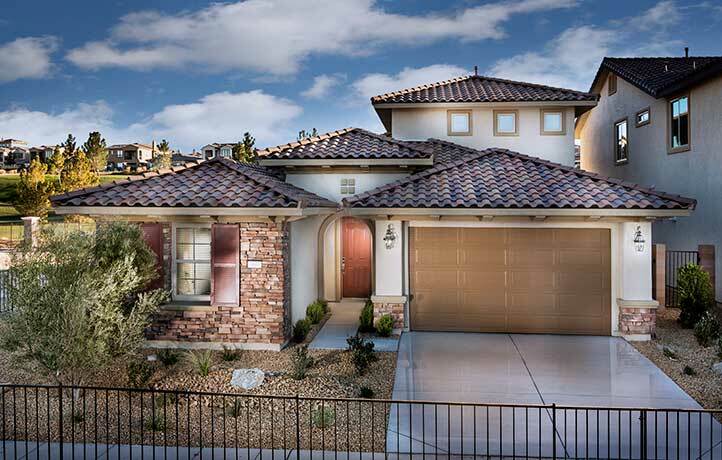 Exquisite 3,189 sf NEW Home priced from $353,990 in Popular South West Community! The 3,190 sq. 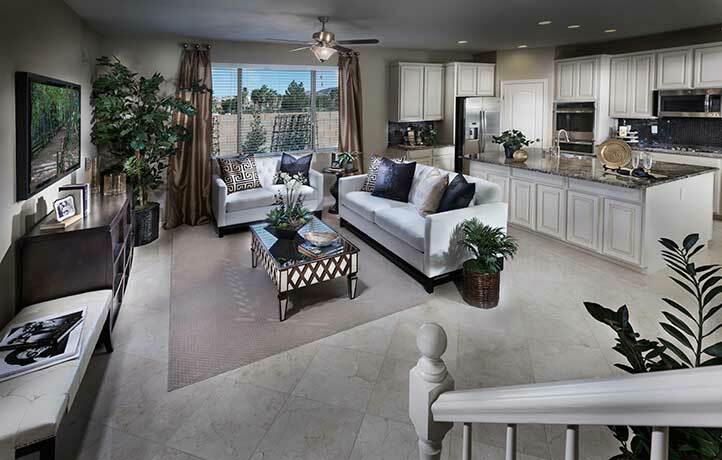 ft. home welcomes guests into a spacious living room that opens up to the dining room and kitchen. The gourmet kitchen features granite countertops, raised-panel cabinetry, a large walk-in pantry and eat-in kitchen bar. The second floor features three spacious bedrooms, a full second bathroom with dual sinks, as well as a large laundry room. The large upstairs master bedroom features an extensive walk-in closet, dual sinks, a relaxing garden-style soaking tub and a separate shower. 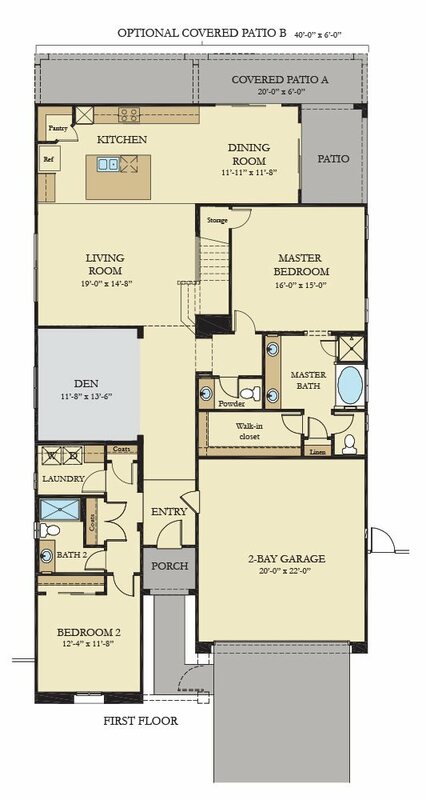 The third floor features a spacious bonus room with a sink and beverage refrigerator. Plus a walk-in storage closet and powder room. This home comes with Everything’s Included package that features upgrades like granite countertops, GE® kitchen appliances, raised-panel cabinetry, home automation and much more! This home is located in a gated community with a pool and playground! 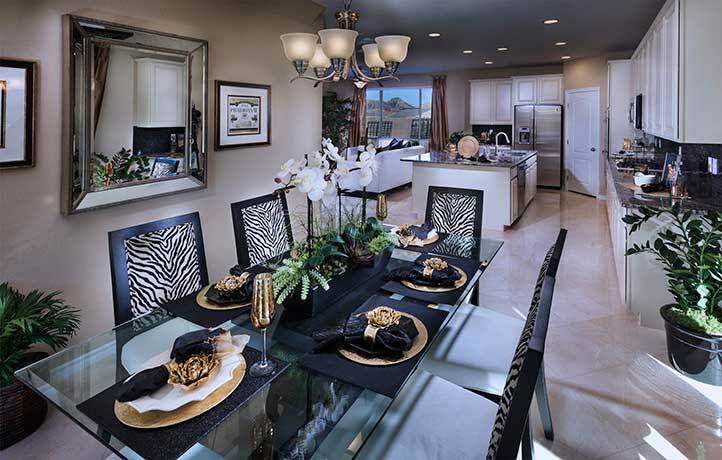 Luxury low maintenance new homes in Las Vegas! 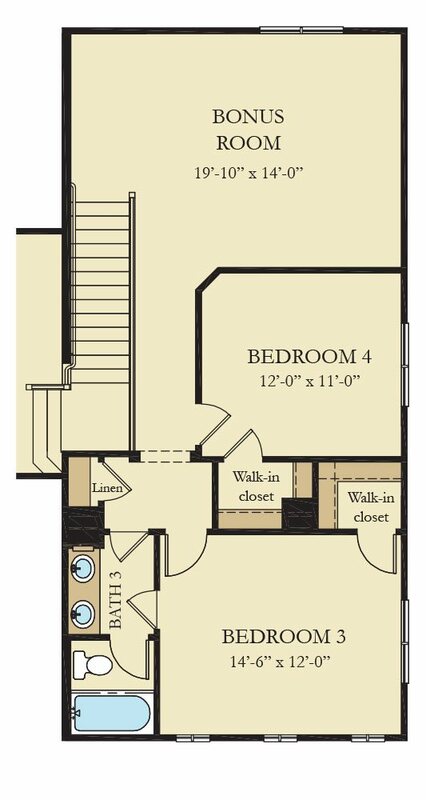 Open floor plans ranging from 1465-1749 sq ft 3bd 2.5b starting at $208,990! Appliance Package and Granite Countertops Included! Seller will contribute towards your closing costs! This exclusive community has many amenities including a pool, cabana, walking trails, kids play area and dog run.